Ah, CAKE! With these great recipes you can make it, bake it, have your cake and eat, too! CooksRecipes has quality, kitchen-tested recipes for cakes that you can count on for accuracy and deliciousness. Find recipes for scratch cakes, cakes made with cake-mixes, cupcakes, Bundt® cakes, dump cakes, pound cakes and more. 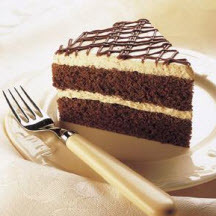 Sure to please, this is a terrific, two-layer cocoa cake filled and topped with a fluffy peanut butter cream and drizzled with a cocoa glaze. 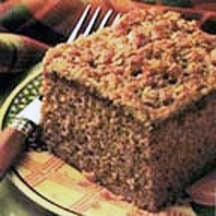 Deliciously comforting, old-fashioned oatmeal cake with a scrumptious broiled coconut crumb topping. 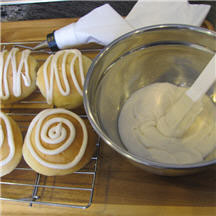 A great basic vanilla-flavored icing, with variations, perfect for drizzling atop sweet quick breads, yeast breads, muffins, cakes, bars, cookies and more.